Did you know that the city of Middletown, KY, has been around since the late 1700s? Who knew that our community had been around for so many years? Since then, our community has grown quite a bit. However, in some ways, it still feels like we’re stuck in the past. Take, for example, the quality of most lawn care service providers. It’s shocking how much they can charge when they don’t even pull weeds! And if you’re like many homeowners, you just can’t find the time to handle all your yard work yourself. Luckily for you, our community still has an affordable alternative in professional yard care. Lawn Works has helped more area residents with their best lawn care services since 2015. As your local landscaping professionals, we’re hard at work keeping the area green every day. When your yards require the expert’s touch, but you need to keep your service costs low, we are always here for you. Call us today for the top choice in local lawn care professional services. Whatever you need for your yards, we can help you. We offer a more comprehensive list of lawn care services to choose from than anyone else, all at the most affordable pricing possible. And more professional yard care solutions! Whether you need help keeping weeds away or you find your yard covered in leaves, we are here for you. Call us for the top choice in professional lawn care services! We believe that better landscaping services come from caring for yards from the soil to the top of your trees. Many homeowners think that their plants are suffering from a specific ailment when, in fact, it’s something else entirely. Our company has the expertise necessary to know what’s best for your yards. When you need help your flowers to grow, your grass to fill in dirt patches, or your lawn needs nourishment; we can solve all your problems each visit. We offer top-quality landscaping maintenance options, including one-time services, monthly scheduled lawn care, specialty projects, and more. Even if you don’t see a specific service listed, we likely know how to offer it. Stop paying higher prices for shoddy landscaping service contractors. Instead, call the local team that more area homeowners trust each month! Save more on better-looking lawns today. 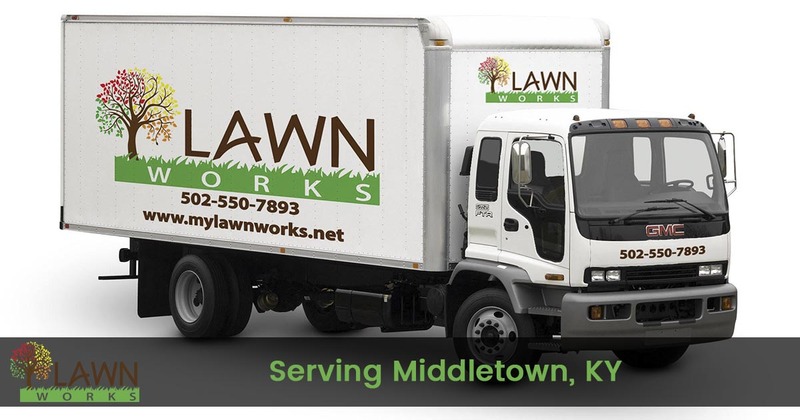 Call Lawn Works now to schedule us for your best yards!